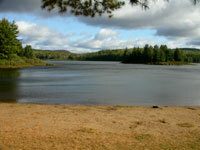 Kearney Lake Campground is open during the May long weekend and from mid-June to Labour Day. 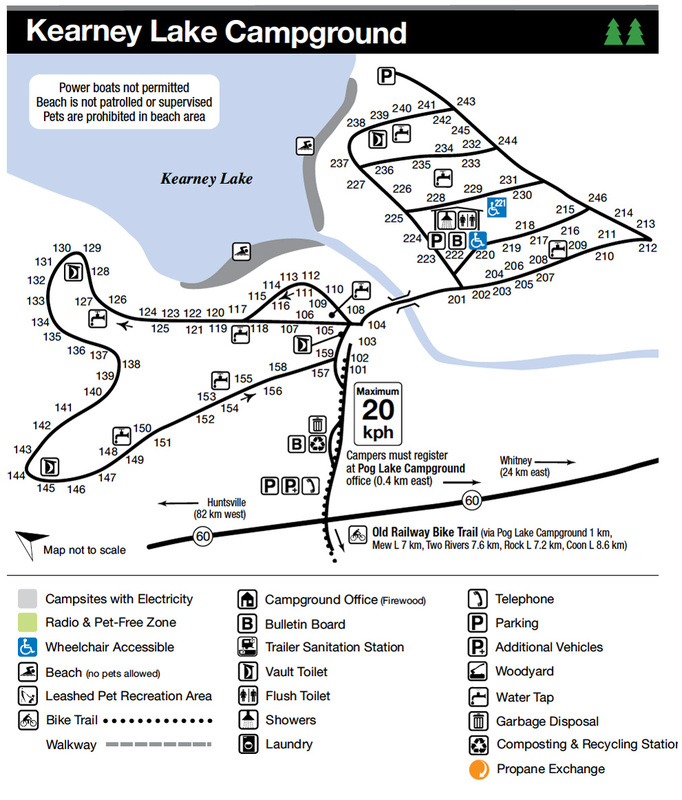 Kearney Lake Campground is located at km 36.5 of Highway 60. 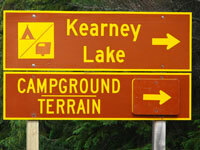 Permits for the Kearney Lake Campground are issued at the Pog Lake Campground located just across Highway 60. 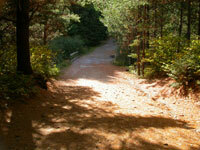 See the Pog Lake Campground webpage for campground office operating dates and hours. Below is a current map of the Kearney Lake Campground for trip planning purposes. Click to enlarge the map.